“Conference season” is about to start! Every year in September, right after the summer holidays, there is an unofficial start of a new “work season”. For some this unofficial start moment comes a bit earlier, for others a bit later. Some even say their work season lasts the entire year… But that’s besides the point. The fall traditionally also heralds a myriad of tech conferences, each fighting for a moment in the spotlights. With Microsoft’s massive Ignite conference moving in from May, this year’s “conference season” promises to be exceptionally busy. I’ve always liked going to conferences. Although content is important, having the opportunity to talk to peers and interact with the speakers (experts) is something I’ve learned to value more and more with each conference I attended in the past. This year, I’m lined up to speak at a bunch of conferences again. If you have read some of my previous announcements, you’ll notice that I’m speaking at a pretty much the same conferences as before. Continue reading to find out why! Just a few weeks ago, Microsoft announced a new feature in its line-up of hybrid Exchange capabilities: the Minimal Hybrid Configuration option. With the introduction of this new capability, Microsoft seems to have responded to a long-standing question from customers who can now move mailboxes to Office 365 without the need to deploy a ‘full’ Hybrid configuration. Recently, I bumped into Jaap Wesselius’ article about an issue he encountered about Hybrid Free/Busy lookups failing. As this relates to Hybrid Exchange, I was – of course – intrigued and remembered that I (once) encountered a similar scenario, but could not remember how I resolved the problem back then. 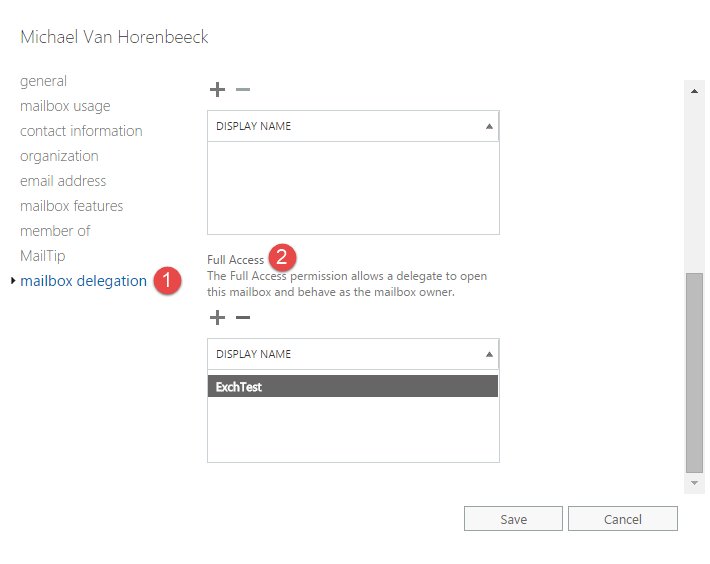 To make a long story short, if Outlook Anywhere is disabled at the user level, Autodiscover does not return the External EWS URL which is required to make the Free/Busy call. The solution is as simple as the problem itself: re-enable Outlook Anywhere for the user and you would be fine. Of course, this might – depending on your environment – be a little challenging. This being said, however, I do suggest that you configure and (if possible) use Outlook Anywhere as it will make your life easier down the road (e.g. for migrations to Exchange 2013).